Please come and show your support and share with others. Don’t let the Mayor chicken out on this important issue because he is more scared of the charter lobby than he is about ignoring parent wishes, violating their family's privacy and undermining our public schools. Why: NYC public school parents and parent leaders demand that the Mayor cease the practice of allowing charter schools access to student personal information. NYC is the only district in the country which voluntarily shares this information with charters to help them market their schools and recruit students. In response to long-standing parent complaints, Chancellor Carranza has repeatedly promised parent leaders in recent weeks, both publicly and privately that this practice will be discontinued, but the Mayor has yet to make a commitment to do so and in the last few days has said no decision has yet been made. Parents have complained about the violation of their children’s privacy for years, and a FERPA complaint to the US Department of Education about this practice was filed in November 2017. 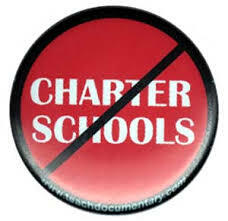 Moreover, by allowing access to this information, the DOE has encouraged the rapid expansion of charter schools, which are now costing our public schools more than $2.1 billion per year. As a result, NYC public schools have less space and fewer resources to educate our neediest students. While in the past, the DOE has suggested that public schools improve their “marketing” to compete, they do not have the necessary funds to do so and in any case, most parents do not believe that the public schools should be forced to divert what precious resources they have for this purpose. The Education Council Consortium (ECC), made up of elected and appointed Community Education and Citywide Council members, was established to address issues that affect schools and communities throughout all five boroughs. We meet regularly with the Chancellor to help shape, advise, provide feedback and comment on educational policies, visions and goals.